Planning laws in NSW woefully constrain the Aboriginal economic independence possible through land claims. Leon Batchelor explores the problem in NSW and finds some encouragement in recent Queensland planning changes. When the office of Surveyor-General disembarked at Port Jackson it brought with it the contemporaneous tools of land use planning and conveyancing – the survey and section, the cadastral map. In addition to geospatial information, these tools were used to represent the benefits and burdens that ran with the land, part of a limited set of interests in land recognised under English law – the numerous clauses. They also served another purpose – to erase the history of ownership and land use that existed already, something that was supported by its own highly developed ancient law. As the crude segments of the Surveyors-General were mapped out and sold, places renamed, towns created, and the former inhabitants forced out, economic power was wrested from the Aboriginal population. Largely ignored was the knowledge of land and water management possessed by Indigenous minds, as the colonial project organised the new settler relationship to land under the dictates of Western capital – speculation, exploitation, alienation and profit. The practice and law of land use planning has failed to adequately recognise and promote a more comprehensive set of relationships to land. Aboriginal communities, despite gaining back some economic power, continue to face planning regimes full of shocking ironies and anachronistic perceptions of Aboriginal political and economic life. In 1983, the NSW Labor government under Neville Wran enacted the Aboriginal Land Rights Act (ALRA). The ALRA was to be something of a Trojan Horse set loose in the former colony under which Local Aboriginal Land Councils (LALCs) – statutory bodies elected by and comprised of Aboriginal people – would have Crown land transferred to them, ordinarily as fee simple estates, as compensation for colonial dispossession and as an asset base for future economic independence. Despite the 33,000 unresolved land claims under the ALRA, locked up somewhere in the Department of Industry, NSW today represents a large share of the 33 percent of the Australian land mass that has been returned to the control of Aboriginal and Torres Strait Islander groups. Yet this land wealth has not come with a sufficient measure of economic power. It is the loud refrain from the LALC network that the ALRA does not address how to capitalise on that land wealth, once granted and transferred. Standing in the way, among a raft of other NSW laws, is the Environmental Planning and Assessment Act (EPA Act), under which Aboriginal groups are all but ignored. There is not one substantial reference in the EPA Act to the ALRA, a glaring deficiency given the practical interpenetration of the statutes. In practice, the general neglect of the objectives of LALCs in NSW planning laws means two things. Firstly, strategic decisions at the state and local government level about land use and infrastructure planning have historically not taken into account the statutory role of LALCs and the presence of land claims under the ALRA. Secondly, the 115 LALCs in the state are forced into costly administrative processes (or legal proceedings) to have land rezoned to allow uses more likely to provide an economic return. Responding to these longstanding deficiencies, the NSW Department of Planning and Environment initiated the Aboriginal Community Land and Infrastructure Project (ACLIP), focussed on improving planning outcomes for Aboriginal communities. It has involved training courses and seminars for LALCs to build their capacity to engage with the planning system. 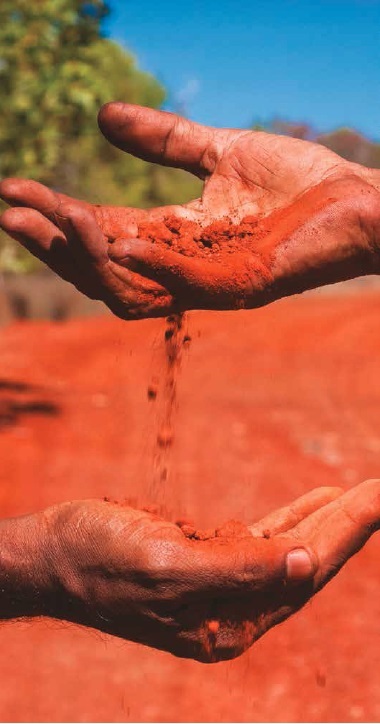 Aboriginal Affairs indicates that in the past year the Aboriginal Community Training NSW Planning System course was held in seven locations across New South Wales, with representatives from 20 LALCs and Aboriginal Corporations. For Darkinjung, the elevation of its own economic interests in the Regional Plan is a significant win and places the land council in a unique position strategically. Darkinjung, like many other land councils, has in the past faced tough opposition from the local community and from government. Putting Aboriginal cultural and economic interests high up on the strategic agenda means LALCs are less likely to face this resistance. Examples of the inverse abound. The former Wyong Shire Council moved, in 2012, to down-zone Darkinjung land at Halekulani, which permitted use as a caravan park, to an environmental zoning. To save their plans for the coastal site, Darkinjung pre-empted the council ratifying the decision by lodging a development application for a manufactured home estate. The application received 2,157 objections, more than double the number of objections to the controversial Wallarah 2 Coal Mine, also on the Central Coast. “Everyone will have those examples,” says Lynne Hamilton, Darkinjung’s head of planning, who is currently running six rezoning applications on the Central Coast. In her view, there are less than a handful of LALCs in the network that have the capacity to execute complex rezoning zoning applications. She says there needs to be a shortcut. “In the middle of a residential area there will be one block of bush that we have a land claim over that is zoned the highest environmental zoning – yet it’s surrounded by residential development. It’s a big problem,” says Hamilton, whose LALC is the largest land holder on the Central Coast, much of it on the urban fringe. Without proactive assessment and promotion of LALC landholdings by local councils and the state government, onerous rezoning applications are the only option. The EPA Act does nothing to force planning authorities to think differently about Aboriginal owned land. In 2016, the Legislative Council Standing Committee on State Development’s Inquiry into economic development in Aboriginal communities recommended the Department review planning legislation to better accommodate the aspirations envisaged in the Aboriginal Land Rights Act. Opinions differ as to what the most beneficial approach might be within the LALC network and on the side of government. The political landscape in NSW, within and outside of the LALC network, has proved a difficult space to initiate long term planning reforms. Darkinjung has been a proponent of a separate State Environmental Planning Policy (SEPP) which specifically addresses Aboriginal community owned land. This would likely permit LALCs to develop land without the need to undertake rezoning applications. There is precedent for this in NSW in the Housing for Seniors or People with a Disability SEPP, which permits development of seniors housing on land that adjoins land zoned for urban purposes, subject to a site compatibility assessment and development consent. Although less receptive to the idea of an Aboriginal SEPP, NSWALC has suggested LALCs be given the right to seek review or appeal of decisions made by planning authorities when they concern LALC interests and compensation for adverse planning decisions. Citing circumspection from the Department of Planning and Environment, Lynne Hamilton, of Darkinjung, says LALCs are not likely to intensify land use where it would be environmentally or socially counterproductive. “I don’t know what they’re scared of – that land councils are going to want to rezone every parcel of their land? Land councils aren’t that silly. They’re not going to rezone land that’s out in the bush because it’s too expensive. There are no services,” says Hamilton. Being viewed as environmentally irresponsible is just one of many ironies to confront LALCs looking to develop their own land, many of whom have had projects thwarted by legislation aimed at protecting the environment. The same communities that have safeguarded biodiversity for tens of thousands of years are being told by government they cannot be trusted with the power to determine the attributes of their own land. “Isn’t that a small price to pay for the damage that we’ve done to their estate?” asks Ed Wensing, PhD Scholar at Australian National University. He maintains, with a nod to Australian historian Henry Reynolds, that the body of customary laws administered by Aboriginal and Torres Strait Islander people contains the “oldest continuing system of land use and occupancy planning in the world”. Wensing points to the Planning Act in Queensland, which came into effect in July 2017 following a broad consultation effort by the Palaszczuk Government, as an example of significant progress for Aboriginal and Torres Strait Islander groups looking for better planning outcomes. The Queensland Planning Act requires planning authorities and other agencies that perform functions under the Act to do so in a way that “advances the purpose of the Act”. This includes “valuing, protecting and promoting Aboriginal and Torres Strait Islander knowledge, culture and tradition”. Although the Act does not explicitly provide development rights or promote the “economic” interests of Aboriginal and Torres Strait Islander groups, the provision has already been invoked to guide strategic decision-making. Dr Sharon Harwood of James Cook University, who was instrumental to the inclusion of the clause in the Queensland Act, wrote to the Department of Infrastructure, Local Government and Planning after viewing a draft version of the South East Queensland Regional Plan, ShapingSEQ, and realising it made no mention of Aboriginal and Torres Strait Islander outcomes. The plan was intended to guide development for 25 years. Her letter, it seems, was compellingly put. “[The Department] immediately swallowed humble pie,” Wensing recounts, “They went through a whole series of workshops with the Traditional Owner groups in SEQ and other Aboriginal and Torres Strait Islander peoples over a series of six to eight months and in the final draft of the plan almost every strategy has an action that relates to Aboriginal and Torres Strait Islander peoples’ needs and better reflects the integration of their knowledge, culture and tradition in the plan”. Crucially, the “tenure blind” nature of the provision makes immaterial what the legal basis of the claim to land is. In urban areas, where the majority of Aboriginal and Torres Strait Islander people reside, this could mean consultation with groups historically without a legal foothold in the planning process. “What the provision in the Planning Act in Queensland does is to force the matter onto the table at an early stage rather than as an afterthought”, says Wensing. Despite the stalling tendency of planning reforms in NSW, the recent surge in metropolitan and regional strategic planning activity will provide a testing ground for the potential of “soft-law” options like regional and metropolitan plans to provide real economic benefits for Aboriginal land holders. While these “actions” and “priorities” – some more nebulous than exact – make their indeterminate way into the minds of councillors, Aboriginal land holders are left with a planning system that places their unique interests near to last. The strong, if somewhat accidental, leadership of Queensland in this respect could pave the way for other jurisdictions to place Aboriginal interests first in strategic decision-making and deliberations over land use planning. The current incapacity of the NSW planning regime to countenance a more comprehensive set of relationships to land only promises more development of limited ambition. As the national locus of infrastructure construction and ascending urban populations, there is a real opportunity in NSW to turn Aboriginal community owned land into the social, economic and environmental assets of the future. That won’t happen by accident.